Jean-Claude Juncker has turned to beer to try and unlock the deadlock over Brexit. The EU chief used a boozy analogy to urge the UK to reach a financial deal with Brussels over how much it should pay when it leaves. It’s been a key stumbling block so far, according to the EU’s lead negotiator Michael Barnier. “If you are sitting in a bar, and if you are ordering 28 beers, and then suddenly some of your colleagues is (are) leaving, and he’s (they’re) not paying, that’s not feasible, they have to pay. “They have to pay. Not in an impossible way, I’m not in a revenge mood. I’m not hating the British. 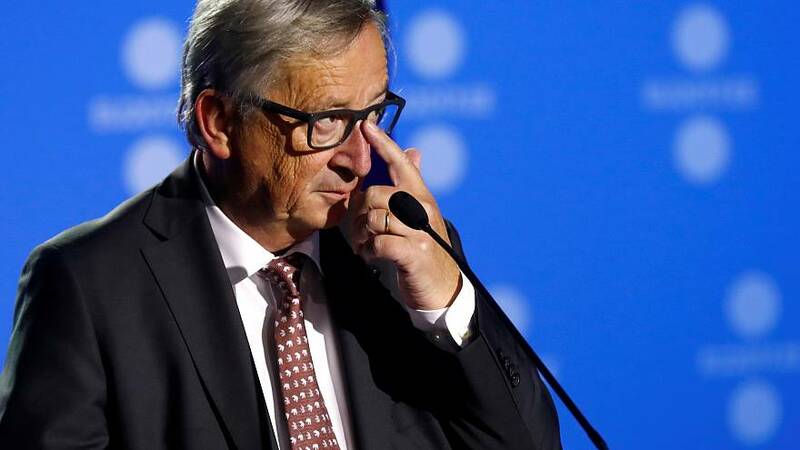 Juncker also said Brexit would take longer than initially thought and expressed amazement London and Brussels had not reached a deal on citizens’ rights. He also revealed how he wound the British up by saying English was slowly disappearing in Europe.